Always wanted to get the needles clicking? In a tangle with all that lovely yarn? We'll get you started on the path to knitting! 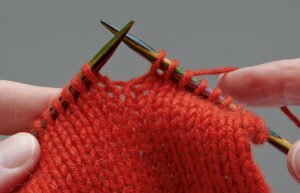 You'll learn a basic cast-on, knitting, and purling, and how to "read" your stitches. If desired, we will help you pick out your first project! If you need yarn for the class please come a bit early so we can wind it for you. We offer a 10% discount off the yarn when registering for the class. If you have a light colored worsted weight yarn and size 8 knitting needles please bring them. If not, we have lots of good options for you to choose from. A discount of 10% off the yarn when signing up the class.